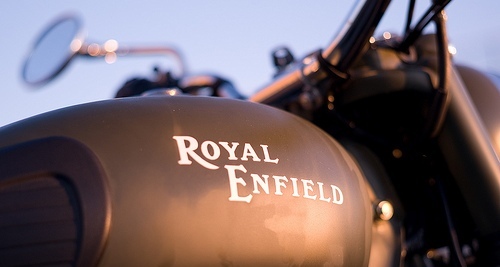 Registrations for the Royal Enfield Himalayan Odyssey 2012 opened! The Royal Enfield Himalayan Odyssey will take you through three mountain ranges, six passes–a dizzying 18,380 feet high at Khardung La and a 40-km off-road ride through a high altitude desert at the Moré Plains. Rich in natural beauty, the landscape in its silence, emptiness and unbelievable vastness is breath-taking. Lying off the beaten track, taking you to hidden villages and enlightened people who worked out a sustainable life- style centuries ago and have seen little reason to change. The ride begins June 23, 2012, Saturday from New Delhi and ends on July 8 in New Delhi. One can register by paying an amount of Rs.28,000. It covers accommodation on all days on a bed and breakfast basis. Except for a few prominent places (big cities) on the Odyssey it also includes the dinner. Lunch and petrol are not included in the cost. As it enters its 9th edition, Royal Enfield Himalayan Odyssey today has proved itself to be revered as a ritual of ultimate adventure motorcycling. Expect smooth roads in the plains gradually moving into off-road sections laden with gravel or sand in the Himalayas. Expect slush and water-crossings in the Himalayan region. Weather: Cold and Chilly with occasional snowfall and rain.